His unflattering reputation is a hangover from the Young Tom Doak era when he was architecture’s enfant terrible, better known for his GOLF Magazinewritings on the craft than for his practice of it. Old Tom Doak is still opinionated but far less brash. He has matured into golf’s equivalent of Jonathan Franzen, the novelist who spent years telling everyone how good he was—and how dreadful others were—before proving himself. Franzen wrote The Corrections. Doak built Pacific Dunes. Doak was signed to design Robertson’s new Kiwi course, Cape Kidnappers, on a 5,000-acre former sheep ranch perched on the cliffs above Hawke’s Bay and the city of Napier. Cape Kidnappers is the first port of call on Doak’s antipodean tour, a whirlwind visit to three courses that may mark him as the best architect of his generation. The narrow, five-mile-long road that climbs to Cape Kidnappers is strewn with switchbacks and white-knuckle drops on either side. At the summit is New Zealand’s finest gannet colony—bird watchers flock to the beach every day at low tide—and a spectacular course that its architect predicts will earn a place on any ranking of the world’s best. It’s raining steadily, but after an hour of chatting with the maintenance crew and impatiently eyeing the sky, Doak braves a soaking to tour several holes. He pronounces himself mostly pleased. Mostly. Robertson has removed several ornate crenellations from the roof of the modest clubhouse, one of which Doak saw as a perfect aiming line for the approach to the 18th, which will be blind for shorter hitters. He shrugs it off; the clubhouse is Robertson’s domain. Soon after sunrise the following morning, Doak plays the course and explains how each hole was created. Cape Kidnappers is anchored around seven long fingers of land that stretch down toward the precipice and contain the most memorable holes. The 15th, a 650-yard par 5, is destined to become the signature hole; from the fairway, it appears to drop off the end of the earth. Robertson wants to bring the New Zealand Open here. Meanwhile the USGA has selected Pacific Dunes for the 2006 Curtis Cup (co-hosting with Bandon Dunes) and the 2007 Mid-Amateur Championship, possible preludes to a professional major championship (though remote Bandon might lack the infrastructure necessary for that). Such thoughts make Doak uneasy. That year in Britain—during which he lived in $10-a-night hostels and visited more than 170 courses—was the professional education of Tom Doak. His personal education took longer. Doak was born in New York and grew up in Stamford, Connecticut, with one younger brother, now an archeologist. (“I have two sons who dig dirt for a living,” his mother used to say.) At age 10, Doak began tagging along on business trips with his father, who was a vice president of commodities at Lever Brothers. They visited Cypress Point, Pebble Beach and Pinehurst—a world away from Sterling Farms Golf Course, the Stamford muni where Young Tom learned the game. When he became obsessed by the design differences among courses, his librarian mother tracked down obscure architecture books, which she then read with him. Today, Doak’s family life is a little more complicated. He shares custody of his 13-year-old son, Michael; his eight-year marriage to Dianna Johnson ended in divorce in 1998. Doak has four stepchildren from his 2002 marriage to Jennifer Florence, whom he met at a Traverse City ice-cream stand. Though traces of gray fleck his temples, Doak is boyishly unkempt. He favors polo shirts and battered sneakers, and his idea of hair-styling ends at pulling on a baseball cap. His easy smile and wry sense of humor are wholly at odds with that lingering reputation of which he is growing weary. Like a college of cardinals, golf course architects are a small fraternity governed by strict conventions. The public veneer is one of unstinting praise for each other’s work, and criticism—when it is leveled at all—comes in hushed whispers. (In private, of course, they are ferocious gossips.) In this austere company, Doak stood out like a showboating televangelist. His controversial book, The Confidential Guide to Golf Courses, was littered with withering appraisals of other architects. Fazio’s White Columns course in Alpharetta, Georgia, was dismissed as “absolutely vapid.” Of Desmond Muirhead’s Stone Harbor in New Jersey, he wrote, “This is the most ridiculous course I have seen…. I came away convinced [Muirhead] is having LSD flashbacks.” Stone Harbor scored zero on the Doak Scale, which rated courses from one to 10. “I’m sure he was just being honest, although my mother always told me, ‘If you can’t say anything good about someone, don’t say anything at all,’ ” says Kidd, a Scottish designer and Doak’s close rival. After six years of learning design from the dirt up—during which time he also managed GOLF Magazine‘s Top 100 Courses in the World ranking, having peppered editor George Peper with letters until he got the assignment—Doak finally got a chance to prove himself when a friend recommended him to a property developer in Traverse City. He was just 26 when he designed his first course, High Pointe Golf Club, from which he was later banned after a dispute with the owner. “They didn’t appreciate what they had,” he says. Later, Doak bailed on his second course at the Legends Resorts in Myrtle Beach, South Carolina, after a dustup with a developer he considered a meddler. Later still he was asked to codesign a course with Ernie Els, but the developers balked when Doak demanded a $300,000 fee (his fee for High Pointe was $75,000). “So then I said I would take whatever they were paying Ernie,” he says, laughing. The developers’ answer: No deal. He will allow that he is no longer underrated himself, a fact reflected in his fee, which he initially describes as “halfway between Fazio and the complete amateurs.” When pressed he puts it in the ballpark of $500,000. At Cape Kidnappers, all but the final two holes are playable. Because Robertson wants to open soon, the bunkers are being filled by a helicopter equipped with a huge bucket at a cost of $2,000 an hour. Doak’s sole edit is to change a mowing line on the 16th fairway that he finds aesthetically displeasing. (He personally oversees construction of his designs.) And that evening—48 hours after arriving—he is taxying down the runway in Napier en route to Australia. Early the next morning Doak is walking Royal Melbourne, the proving ground of Mackenzie, who went on to design Cypress Point and Augusta National. In 2001 Doak co-wrote an admiring biography of Mackenzie, and he seems to judge every architect by that imposing standard. To know Doak, know this: He is celebrated as an iconoclast, but he is actually a throwback. Like a modern-day Republican who pines for President Dwight Eisenhower, he is a tweedy traditionalist in a business dominated by tuxedo-clad smoothies. A few hours later, Doak wades through waist-high grass as he finalizes the routing of his own St. Andrews. If Cape Kidnappers proves to be his second top-ranked design—Pacific Dunes is ranked 19th on GOLF Magazine‘s Top 100 Courses in the World—then his third might be The Golf Club St. Andrews Beach, two hours south of Melbourne on the Mornington Peninsula, near the unfortunately named Cape Schanck (so dubbed for an old seafarer). Doak’s frequent visits to this corner of the world—this is his 11th trip in two years—has him reconsidering his itinerary. The routing for St. Andrews Beach is hampered by dozens of 500-year-old moonah trees that the local council won’t let Doak touch. He studies a tree bent in the wind on the corner of the dogleg at the 18th. “It wouldn’t hurt my feelings if we accidentally backed over that tree,” he mutters. That afternoon he takes a short drive to see two courses at the National Golf Club, where he had once interviewed for a project. “I didn’t get it because I wasn’t Australian and I hadn’t won the Open Championship,” he says. One course went to Greg Norman, another to Peter Thomson. Doak stands out in golf for several reasons. A liberal, he is no fan of President George W. Bush (“I’ve traveled six continents and I understand how people think George Bush is the embodiment of everything they hate. And he doesn’t have a clue”). But his candor on the work of others is what jars the most. After all, this is an industry flush with false camaraderie, big egos and small-mindedness. Given his own barbed comments, it might seem that Doak is becoming just that kind of architect, deploying sharp elbows to protect his territory. In reality, he mentors a staff of ambitious, young would-be designers who hope to outdo the boss one day, and you get the impression that Doak wouldn’t mind as long as the kids built courses in the Mackenzie-Doak style. Each evening at St. Andrews Beach, Doak returns to a bare-bones room, furnished with only a mattress and a lamp. He picks straw thorns from his socks and feet—the residue of a day marching through brittle grass. His final day on the Mornington Peninsula is spent on a tractor mowing sites for tees and greens. He is caked in grime and loving it, but the clock is ticking again. “You just saw how much time Mackenzie put into everything he built in Australia—three days, about what I did on this trip,” he says as we pull out of St. Andrews Beach for Melbourne’s Tullamarine Airport. “He drew up the plans then walked through it.” Mackenzie liked to toot his own horn, but he never claimed Royal Melbourne as one of his greatest achievements because he never saw it. He left before construction began. Now Doak is driving through the moonlit countryside north of Launceston on the island of Tasmania, a short flight off the Australian coast. A road sign warns, fatigue can be fatal. But he was never one to fall asleep at the wheel. Robertson spent more money building the road to Cape Kidnappers than Sattler will spend on the entire course. That’s why Doak is taking a cut of the future action rather than an up-front fee—the property is that good. Barnbougle’s shoestring budget is reflected in Doak’s accommodations: He bunks with his associate Brian Schneider and Schneider’s wife in a modest cabin. Lunch is either a ham sandwich in Sattler’s kitchen or fried fish wrapped in paper from a local chip shop. Soon after daybreak, Doak is standing in a bunker on Barnbougle’s 1st hole, explaining his design theory as if to pre-empt criticism. “We dug a lot of bunkers here partly because it looks cool and also because you can find a ball in them,” he says. “It’s better than being in the marram grass.” He builds for the better player while average golfers barely notice his strategic features, like greens designed to favor draws or fades. His concern for lesser players leads to a lengthy debate over a high mound on the right side of the fairway at the 540-yard, par-5 1st hole. It’s about 215 yards off the tee, right in the wheelhouse of the average golfer. Anyone landing near the mound would be forced to take a short iron to clear it and still face a third shot of more than 200 yards to the green. Doak stands atop the knoll for several minutes, silently pondering his options. “There’s room over there to the left,” he says at last. The mound stays. As he tours the course—watching out for copperhead and Tasmanian Tiger snakes in the long grass—more bricks are laid in the edifice of his Mackenzie complex. The 12th is a 285-yard par 4 loosely based on a short hole at Royal Melbourne; the motion-sickness-inducing 13th green imitates one Mackenzie built at England’s Sitwell Park Golf Club almost a century ago. “That green didn’t last five years before the owner blew it up,” Doak says. He is confident that Sattler will keep this one around a lot longer. Cape Kidnappers, Doak’s 16th solo course design, opened in January to rave reviews. Its unveiling kicked off what promises to be a busy year. The Golf Club St. Andrews Beach and Barnbougle Dunes are slated to open this fall. Doak designs are under way in Colorado, Washington and California. His Irish links, Kilshannig Golf Club, awaits environmental permits. He and Nicklaus hope to break ground on Sebonack Golf Club in Southampton this summer as the U.S. Open unfolds a few yards away at Shinnecock. 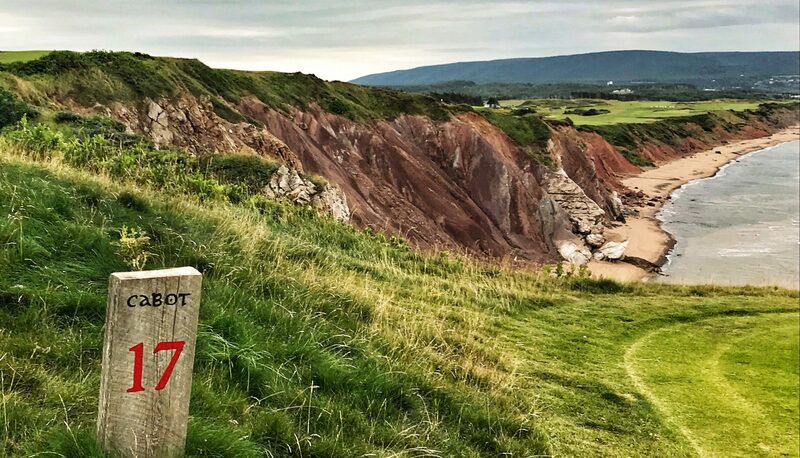 It seems a modest enough proposal—at least until you read the list of courses that score a perfect 10 on the Doak Scale: The Old Course at St. Andrews, Muirfield, Ballybunion, Royal Melbourne, Pine Valley, Cypress Point, Pinehurst No. 2, Royal Dornoch, National Golf Links and Crystal Downs, a Mackenzie course in Michigan where Doak is a member. Published in Golf Magazine, June 2004 issue.